Internal audit is a very useful tool to improve the quality standards of any manufacturing unit. Planning and implementation of internal audits in a pharmaceutical manufacturing unit is discussed here. In any type of audit, the first and most important part is making a plan. In order to make the execution of audit of pharmaceutical effective and efficient, a good audit plan is compulsory. 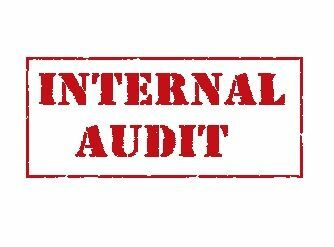 Internal Audits can be a valuable tool for any company for information collection and assessment of daily performance. When planning an internal audit, the main goal to have in mind should be that of data collection and identification of any problem areas. Auditors should have a vast knowledge of company policy and procedure in order to monitor the day to day functions. They should also have knowledge of state and local regulations. In the pharmaceutical industry, the audit plan is developed in a meeting with the auditors in which objectives and details of the audit are discussed which helps in planning the audit. Additionally, the areas which need more attention during the audit are discussed and their significance is explained. Once the significant areas, objectives, and team of the audit have been finalized, a checklist can be prepared which auditors can use while executing the audit. The auditor should always keep in mind that the audit is not limited to the items specified in the checklist as the auditor may identify some other areas of significance during the audit which requires special consideration, especially in case of pharmaceuticals where the scope of the audit is very vast. Execution of internal auditing is shown to improve effectiveness and efficiency in the workplace. Allow open and honest communication between all participants by encouraging questions and giving opportunities for suggestions. 1. It is not possible to conduct the audit effectively if the adequate documentation of the areas under audit is not available. In order to determine whether a process is being operated correctly, a procedure explaining the steps is required. 2. During the audit, an auditor should prepare a list of individuals with whom he talks for the purpose of the audit, and should also mention the name, department, title, and information obtained from the individual. In the case of identification of deficiencies, the auditor should retain the objective evidence and copies should be made and maintained until the close of the audit. 3. If an observation suggests the non-compliance, the auditor should discuss the same with the team and the management, in order to be ensured that no misunderstanding persists related to records and supporting documents. Before making and presenting any write-up of the observation, it is recommended to clear up any confusion, doubts, and a mix-up with the management especially in case of pharmaceuticals where the documentation maintained is very large and may lead to big confusions sometimes. 4. Every day, after completion of the work the auditor should have a brief meeting with the head of the department being audited. In the meeting, the auditor can discuss the findings of the day and can obtain the information if any, is important related to the finding of the day. In the meeting the head concerned, the auditor should discuss and make sure that the findings are in the normal course of business. Following the same plan and making changes if circumstances require so, the auditor should wrap up the audit and deliver the audit report and other supporting documents as per the plan. Keeping up with internal audits allows for better productivity and less risk to company, staff, and consumer.